Ahead of the Senate's expected vote on the GOP tax bill this week, President Trump promoted the tax overhaul legislation in a speech delivered Tuesday afternoon in which he promised "bigger than Reagan" tax cuts. 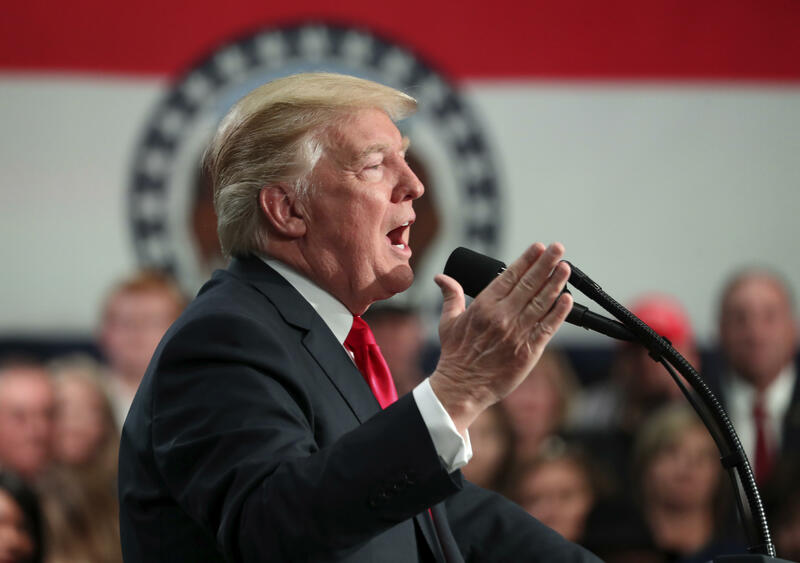 He said that the Senate-proposed tax legislation will provide "the biggest tax cut in the history of our country, bigger than Reagan" from St. Charles, Missouri, the state where Mr. Trump's "tax tour" began. In the speech, Mr. Trump promised that the Republican tax plan would benefit a wide spectrum of Americans within the working class and middle class, but assured that the plan will be "not good" for him personally. "This is going to cost me a fortune this thing, believe me, believe me," he joked, drawing a laugh from the crowd. "This is not good for me." "I have some very wealthy friends, not so happy with me, but that's okay. You know I keep hearing Schumer, 'this is for the wealthy,' well if it is, my friends don't know about it," he said shortly after. Mr. Trump praised the economic growth the country has seen under his administration and commended the House for its passage of their tax overhaul bill. He said that he believes the Senate's version will be popular with the American people. "I will tell you this in a non-braggadocious way: there has never been a ten-month president that has accomplished what we have accomplished, that I can tell you," he said. Tuesday, Mr. Trump met with GOP leadership at the Capitol to discuss their tax plan, and further discussed the legislation later Tuesday afternoon at the White House. The president, along with Senate Majority Leader Mitch McConnell and Speaker of the House Paul Ryan, criticized Democratic Senate Minority Leader Chuck Schumer and House Minority Leader Nancy Pelosi for declining an invitation to join the meeting. Pelosi and Schumer did not attend in light of Mr. Trump's tweet at the Democratic leadership: "I don't see a deal!" he tweeted just hours before their scheduled discussion. Later in his speech Wednesday, the president reemphasized his claim that the tax cuts will hurt his own finances. "Hey look I'm president. I don't care. I don't care any more," Mr. Trump said, joking that although the tax plan may not benefit him, he views the presidency as a "higher calling" and that his accountants "must be going crazy." "We're going to keep winning and winning and winning and winning," Mr. Trump said, labeling the GOP tax plan as "the American model" and "the Trump model." The president also brought back his nickname for North Korean leader Kim Jong Un, calling him "little rocket man" and "a sick puppy" after the regime launched an intercontinental ballistic missile (ICBM) into the East Sea Tuesday afternoon ET. The launch marked North Korea's third test of an ICBM and their first missile launch in ten weeks. In another criticism, Mr. Trump called out Sen. Claire McCaskill (D-Mo.) for being "weak" on crime, the military and illegal immigration. "But other than that she's doing great," he said sarcastically, drawing a laugh from the audience.